Why not add a little more luxury to your day spa with additional treatments. If you would like to add-on any treatments not featured here, please call us on 01473 463262 to buy. Make your day even more special by upgrading your treatments. Your day spa includes a delicious one course lunch, with the option to add more courses if you’re feeling peckish. Robe hire is included in your day spa, but why not take home that spa day feeling with your very own luxurious Riverhills robe. Pay now, take any time in the next 12 months. Commences with the warm Stone Pindas to relax and unwind your body, followed by a back massage using a warm mandarin and lavender candle oil combined with deep tissue movements. 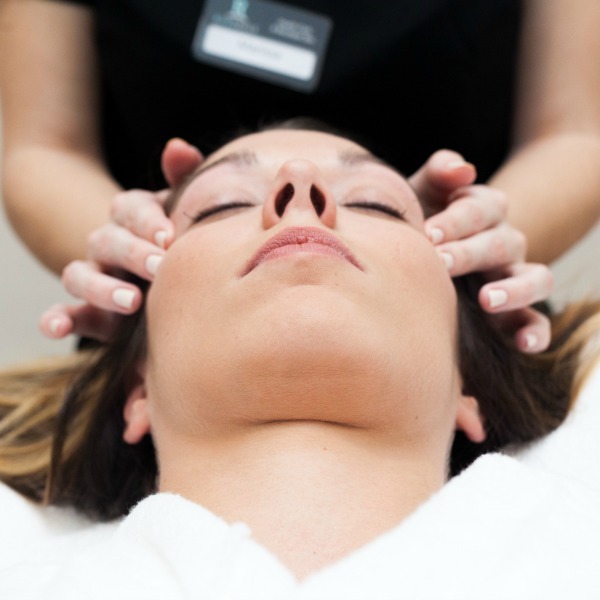 To complete your experience the Spa Prescriptive Facial – prescriptively designed to suit your skin’s needs, along with a scalp massage with sybarite silk, containing real extracts of silk, your scalp and hair will be truly nourished. One voucher will be issued for two people. Pay now, take within 12 months. Additional friends or daughters (or sons!) pay the pro-rata price. Please note – this package is for two people, if you would like to add an additional guest please call 01473 463262 to arrange. “Our ultimate spa day” is now Half Price (Monday to Thursday only) and all add on treatments are Half Price at time of purchase!